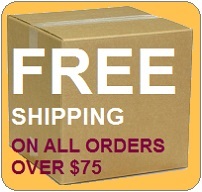 NO EXTRA SHIPPING FEE and 26 big rooms! 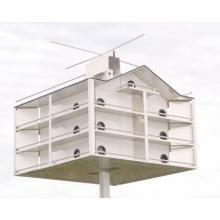 Trendsetter 18, 26 & 28 purple martin martin houses are the Cadillac in purple martin housing. Top of the line quality that will last a lifetime. Designed with the same useful and beneficial features as the 8 and 12. This spacious 35” square aluminum martin house has insulated compartment ceilings and an insulated roof to keep nests cool in the summer and warm on cold nights. The 26 compartments have a mix of straight entry and side entrances. Trendsetter houses are assembled to order. Assembly and shipping can take a week. 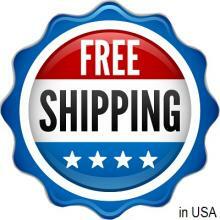 Shipping is FREE on houses! Don't be misled by lower prices on other sites. 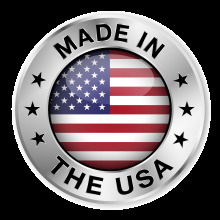 They add on additional charges to ship-PLUS surcharges! 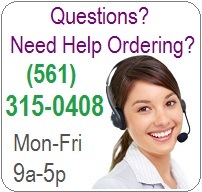 Please remember to include a phone number so that we can arrange shipment. These houses come completely assembled and come via ground freight. Someone must accept shipment due to their size and value.